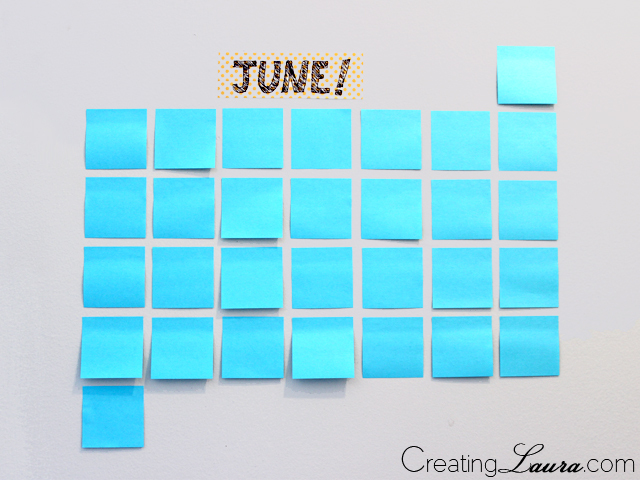 Today I've got a quick and easy DIY for you inspired by my new blogging corner: a sticky note calendar! This project only took me 5 minutes to make and another few minutes to plan out my month and write on all the sticky notes. 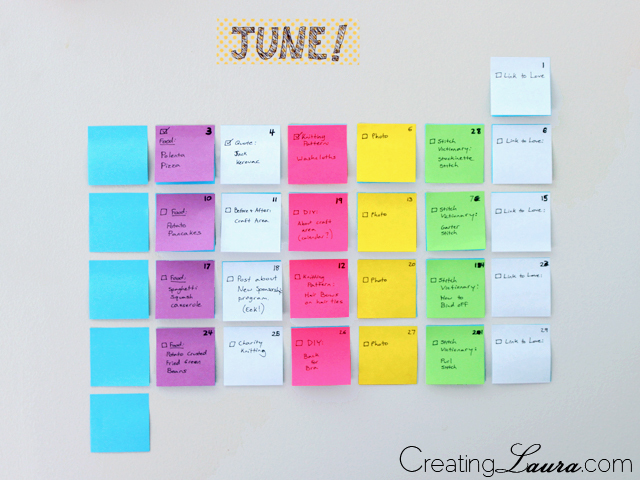 You'll need a blank spot on your wall, several colors of sticky notes, and a marker to make this. 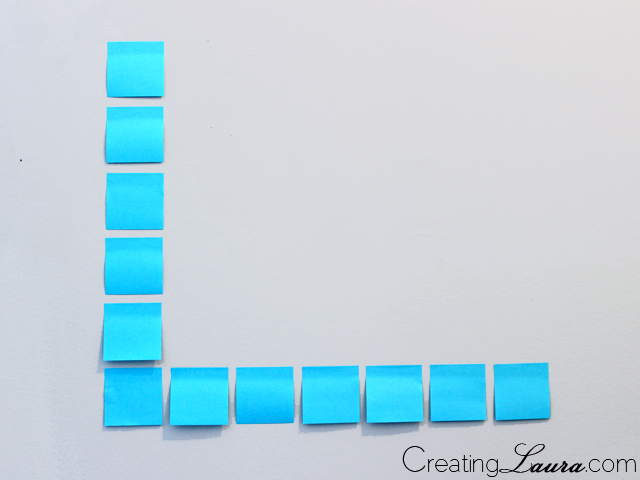 Start by making an L shape on your wall that has 6 notes going up and down and 7 notes going across. 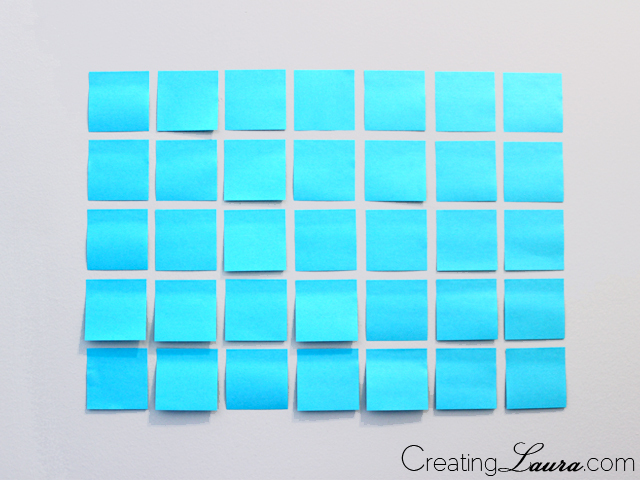 Then fill in the rest of the box with sticky notes. Lastly adjust the amount of notes in the top and bottom rows according to which month it is. For June, I ended up with one lonely note on both the top and bottom rows. Once your calendar looks like the final picture above, it's time for the fun part: filling in the calendar with all your plans! 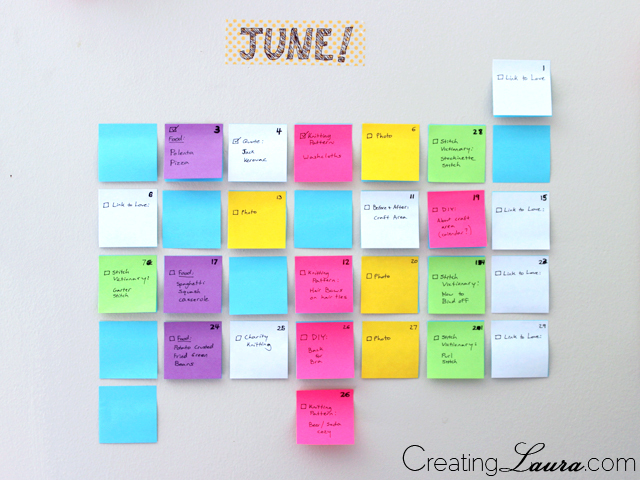 I color coded my month, using pink sticky notes for DIY projects, purple ones for food posts, etc. 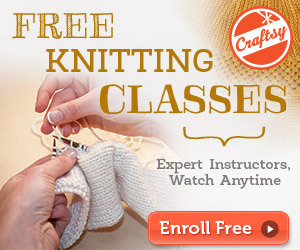 This is where you get to be as creative as you want. 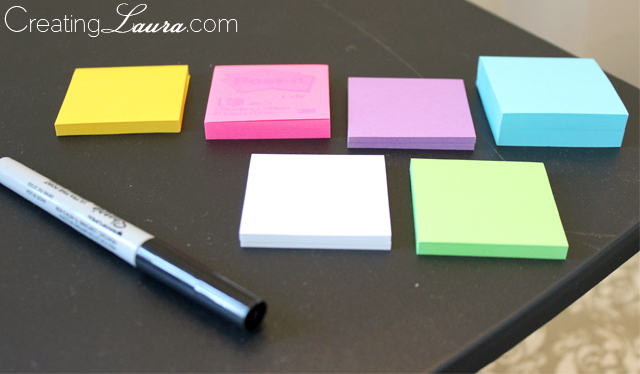 Place your color-coded stickies on top of the blue notes so your calendar never loses its shape. 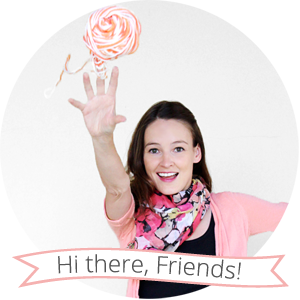 How do you keep track of your monthly plans? Do you have a traditional wall calendar or something a little different like this one? I'd love to hear about it. what a great idea! i'm totally going to pin this one.